flaw and can search for it. flaw and can search for it." 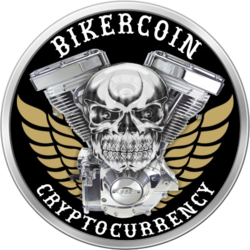 2) Next create your new Bikercoin address by double clicking simplewallet icon from the wallet you just downloaded and etracted. new passphrase for you new wallet and press enter. contains your new Forknote Bikercoin address. for the blockchain to completely sync. 1) Dble click forknoted icon. 2) Launch simplewallet with dble click simplewallet icon. 3) Solo mining CPU through RPC. Dble click miner icon. payment ID, most commonly used to send coins to an exchange wallet. the chain and the transaction is now part of the ledger. Solo mine now while difficulties are low following steps in "Getting Started Forknote v2.0.1.1 txt file"
BIC mined in the next few years.